This Next Level Education webinar has a 94% user satisfaction rate. 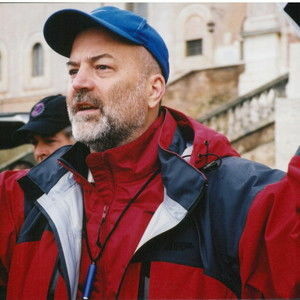 Learn directly from David Landau, 30 year Lighting director and Director of Photography. The story could be the greatest in the world, but if the lighting is poor viewers will assume it’s amateurish and not take it seriously. Good lighting makes things look real, while real lighting often makes things look fake. Good lighting supports the emotional moment of the scene, contributes to the atmosphere of the story and can augment an artistic style. So, no matter how good a script, how good a director, how good the actors – the lighting needs to be as good if not better. The fact is, we can’t usually make good pictures without good lighting, no matter how good the newest cameras are. Yes, we can sometimes get lucky. But while shooting under available light gives exposure, it often lacks depth, contrast, contour, atmosphere and often separation. Well-crafted lighting helps establish the illusion of reality that is necessary for the viewer to forget they are watching a screen and get lost in the story. 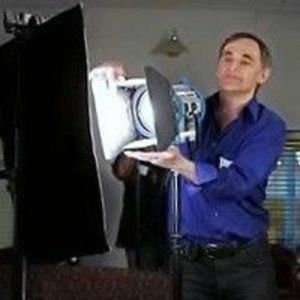 In this Stage 32 Next Level Webinar, host David Landau will go over the ten things all filmmakers need to know about lighting, sharing some of the techniques to artistic and effective lighting that he has learned both from working with a wide range of cinematographers and through his own career as a Lighting Director and Director of Photography. David will demonstrate live from the Fairleigh Dickinson University sound stage lighting techniques that will make your images shine like a Hollywood feature without a big Hollywood budget. David Landau has over thirty years of professional lighting experience working on feature films, TV shows, sit-coms, game shows, commercials, documentaries, industrial films, music videos and direct-to-consumer DVDs. David worked as one of the gaffers on the TV series Project Runway and is a five-time Telly Award winner for lighting and cinematography. He is a member of IATSE Local 52 (gaffer) and the University Film & Video Association and Media Communications Association International. He also is the author of the new book Lighting for Cinematography: A Practical Guide To The Art And Craft Of Lighting For The Moving Image from Bloomsbury Press. Recorded, in-depth Q&A with David! David Landau has over thirty years of professional lighting experience working on feature films, TV shows, sit-coms, game shows, commercials, documentaries, industrial films, music videos and direct-to-consumer DVDs. For the past 12 years Landau has been teaching lighting and cinematography at Fairleigh Dickinson University, US, where he also created the Cinematography track of study, but continues to work in the lighting industry, shooting low budget features, festival shorts and corporate videos, designing lights for theatre and working summers as one of the gaffers on the TV series Project Runway. A five-time Telly Award winner for lighting and cinematography, Landau is a member of IATSE Local 52, the University Film & Video Association and Media Communications Association International. He is also the author of the new book Lighting for Cinematography: A Practical Guide To The Art And Craft Of Lighting For The Moving Image from Bloomsbury Press, which has gained a five star rating on Amazon. So, you want to make a short film - how do you finance it? We're bringing in Sundance director JT Mollner who launched his career making short films - all while learning how to finance them from outside sources. 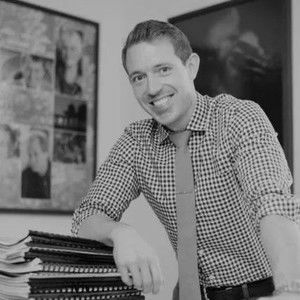 In this exclusive Stage 32 Next Level Webinar, JT will teach you everything you need to know to finance your short film to make your creative dream a reality! 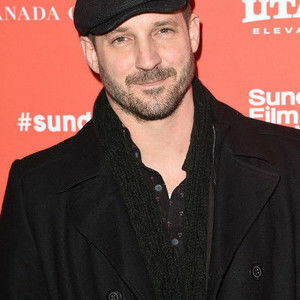 Included - you'll receive a Pitch Deck from JT's film OUTLAWS AND ANGELS which started as a short film proof of concept, and went on to be made as a feature, being selected as an Official Selection at Sundance and selling to Orion films! Every successful filmmaker has, at some point in their career, written, directed, and/or produced a short film. For filmmakers who are just starting out, a short film is the best calling card to showcase their unique talent and vision. It is important to remember that short filmmaking is different from feature filmmaking, with challenges unique to the process. Even so, producing a short film may seem daunting, but there are several key secrets to getting the most out of your project. This intensive 5-week course will give students the tools and techniques necessary to produce a world class short film. Each week will be dedicated to a different aspect of the short filmmaking process, including, concept development and writing of your short, budgeting and scheduling, understanding and drafting production agreements, pro-tips on directing actors, and how to get the most out of the post production process. Students are strongly encouraged to come with ideas for a short film, which will be developed over the course of the 4 weeks, so by the conclusion of the class, the should have a screenplay ready for production. 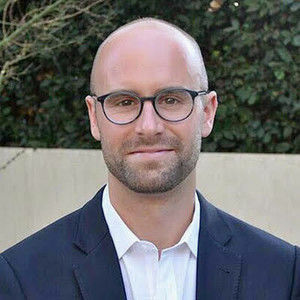 We’ve brought in the CEO of Bondit Media Captial, Matthew Helderman, one of the leaders in film financing today with over 200 financed films over the last couple of years. He will be sharing the basics of film finance all the way through high level packaging tips, plus going over case studies on projects he’s financed and best practices to learn. As today’s film financing structures continue to be a labyrinth-like maze of confusion for most producers, this webinar will help break down that barrier through understanding how best to put a film together you can avoid pitfalls that plague the financing process. 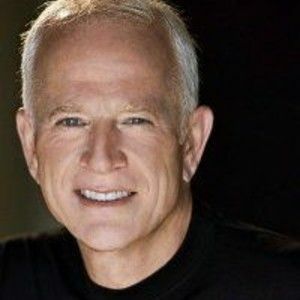 Learn directly from Producer and Attorney Gary W. Goldstein (Pretty Woman, Under Siege) who has produced some of Hollywood’s biggest box-office hits, generating well over $1 billion dollars in worldwide revenue, receiving multiple Academy Award nominations, People’s Choice Awards, a Golden Globe and various other awards! "I’ve learned more about how things really work from Gary than I have over the past 10 years and countless other classes!" - Angela Falkowska, Screenwriter "Gary W. Goldstein’s mentoring will prove 100% better than whatever else you may be considering. He will change your life." - Marilyn Warda, author, The Randomness of Life There are over 1,094 books on Amazon that show you “how to write a screenplay”… but next-to-nothing on how to actually break in, have a strategy and navigate the single most collaborative and competitive business on earth. The integrity of your scripts and projects and partnerships can make all the difference. Too many projects have been shelved permanently and will never see the light of day because of conflicts, misunderstandings and problems that could easily have been avoided by a simple writing… but few know the right questions that need to be asked and answered and distilled into a simple, clear memo in plain English. What’s the single simple thing you can do to legally incorporate everyone’s input and notes into your script and not worry like everyone else? How do you set up writing partnerships for success and why do so many run into trouble? Have you signed short written memos detailing the specifics of your relationship and understanding with producers and other collaborators? Do you know when it’s ok to agree to work for free or ‘on spec’ and why it’s even more crucial to have a written agreement? When is it not ok to talk business on your own behalf? 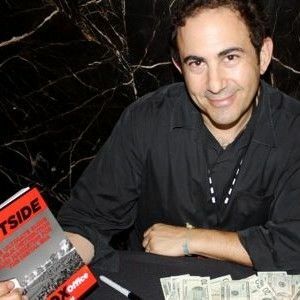 In this Stage 32 Next Level Webinar, Gary W. Goldstein presents a complete ‘how to’; you’ll learn how to blueprint to create projects, how to build relationships, how to enjoy partnerships and collaboration, all while steering clear of the myriad pitfalls and mistakes suffered by so many professionally younger writers and other creatives. This Webinar is designed to give you a simple framework, tools and tactics to avoid common problems that plague many creators and can permanently sideline projects… problems that are absolutely avoidable. In this info-packed 90-minute on-demand webinar Gary will teach you how to get yourself legally protected so that your project can go off without a hitch! Plus! This webinar includes a 40 page interactive workbook put together by Gary for YOU!